Budget Chairman Ed Kasemeyer at podium presents budget to the Senate. The overall fiscal 2015 budget will spend $1.7 billion more than last year, a 4.5% increase. Some of the biggest gains are in spending on medical assistance and welfare, with federal dollars funding most of those gains. “The committee worked very hard to protect programs and services, to honor the recently ratified collective bargaining agreement, and to leave a fund balance [surplus] of at least $100 million in addition to 5% in the rainy day fund,” Kasemeyer said. Much of the budget cuts came from a $200 million reduction in extra pension contributions that were originally intended to be $300 million each year. Senate Minority Leader David Brinkley proposed an additional across-the-board reduction of 1% in the general fund, saving another $162 million. State agencies “should be able to function properly” with 99% of what they requested. Brinkley’s amendment failed 12-34 in a straight party-line vote. The Senate also rejected attempts to cut funding for stem cell research and for state-paid abortions based on the mental health of the mother. Republicans said the state had paid for 49,485 abortions since the year 2000 based on the “mental health” provision of state law for Medicaid-funded abortions. The anti-abortion item picked up a few Democratic votes, but failed 16-29, as did an attempt to cut funding for stem cell research, and proposal to withhold money to fix the Health Benefit Exchange website. 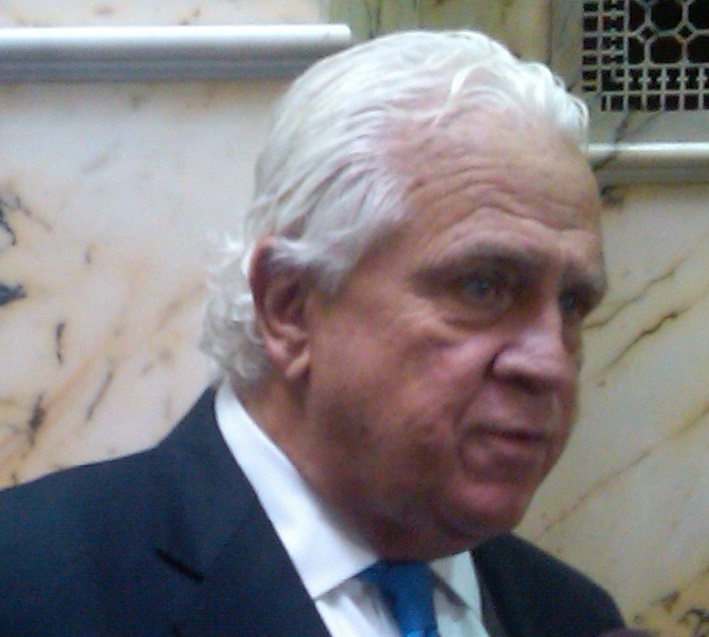 Sen. Bryan Simonaire, R-Anne Arundel, sought to prevent any further diversion of money from the Chesapeake Bay Trust Fund. He said $125 million had been diverted to other programs over the past five years. His amendment to prevent that was rejected 12-33. Senate President Mike Miller warned that such votes have been used by environmental groups to lower the rating of senators who basically support the environment. “This is about the elections,” he said.